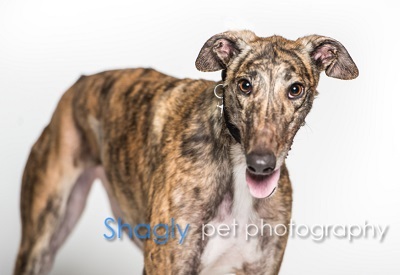 Moxie, aka NB’s Riot Girl, is a 2 year old brindle female born on March 24, 2015. Her sire is Kiowa Sweet Trey and her dam is Ethereal Elation. Moxie has 19 races to her credit on greyhound-data.com, all at Palm Beach Kennel Club in West Palm Beach, FL between February 24 and June 15 , 2017. 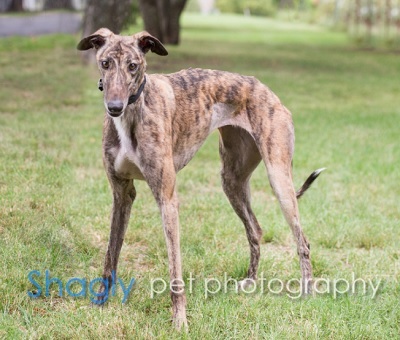 Moxie’s only race left to run is to her forever home. It is not known at this time if Moxie is cat or small animal tolerant.